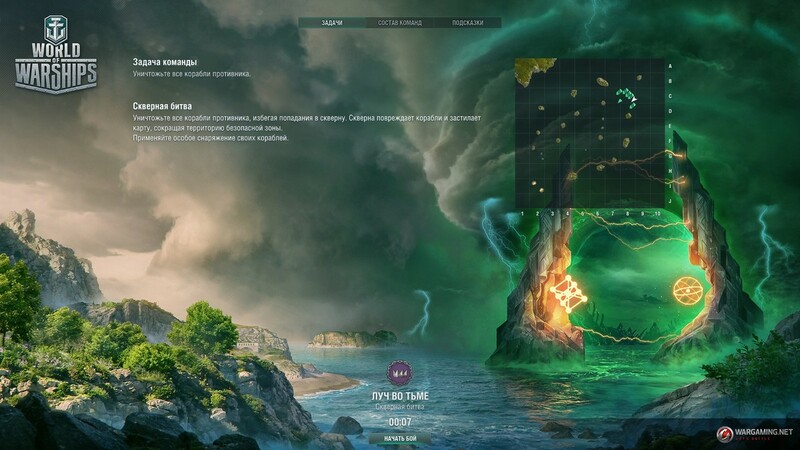 Try out a new game mode, codenamed "Twilight Battles", test the enhanced "Thunderstorm Front" mechanics, and get familiar with a new collection called "Royal Navy Destroyers"! Take a look through the Developer Bulletin, and welcome to the test! 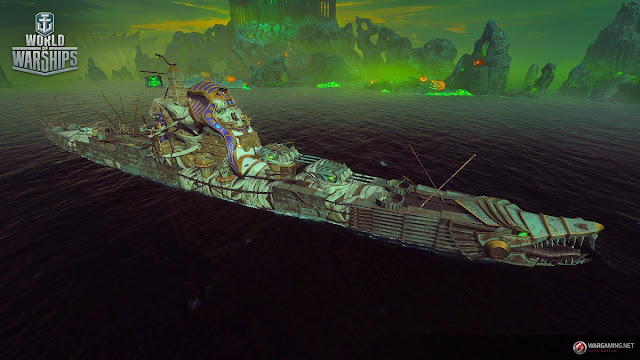 You can take part in the battle on one of the eight ships of the Forces of Darkness you are familiar with from the Halloween operations: Razorworm, Ghoul, Octopus, Leviathan, Scarab, Steel Rat, Varg, and the ferocious battleship Rasputin! When the event begins you will have only three of them, but you can also obtain the others for your achievements in battles. A nice bonus comes in the unique consumables for each ship. Restore your HP by damaging opponents or avoid hazardous situations by halving your visibility. Help your allies by providing them with an extra charge of consumables or turn your ship 180 degrees in a single moment! And all of this is just one small part of the consumables list. Halloween's not over yet! This time you will be able to fight in a new mode, and this time not against bots, but against other players. The battles will be held in 7x7 format on a familiar map from the "Sunray in the Darkness" Operation, with the main task being to destroy all enemies. But beware: The Filth is spreading and seizing more and more territory, and the safe zone is narrowing constantly. Beyond the safe zone, ships lose their HP! Join the Public Test, try out the unusual equipment for Twilight Battle, join the battle alone or with friends, and test yourself in the new format! Wargaming Center App - Play Early! For users of Wargaming Game Center App, pre-downloading of the update 0.7.10 will give you the advantage to play an hour or so earlier. Upon the release of the update, WGC will install the previously downloaded game client files automatically. This will make it possible to get into the game faster after running the updated game server. During Round 2 of the Public Test, the following two Combat Missions can be completed one more time, even if you already completed them during Round 1.Rewards will be added to your live account within five working days after the update hits the servers. Play one Random or Co-op Battle. Reward on the live server: Three of every regular (no specials) signal flag. Win 2 battles during the Public Test in Operations. Reward on the live server: Ten "Type 6" camouflage patterns (+100% XP per battle). The following missions can be completed only once during the entire Public Test. Any progress you made during Round 1 will be transferred to Round 2. Complete the entire "Royal Navy Destroyers" collection. Reward on the live server: One day of Premium Account time. 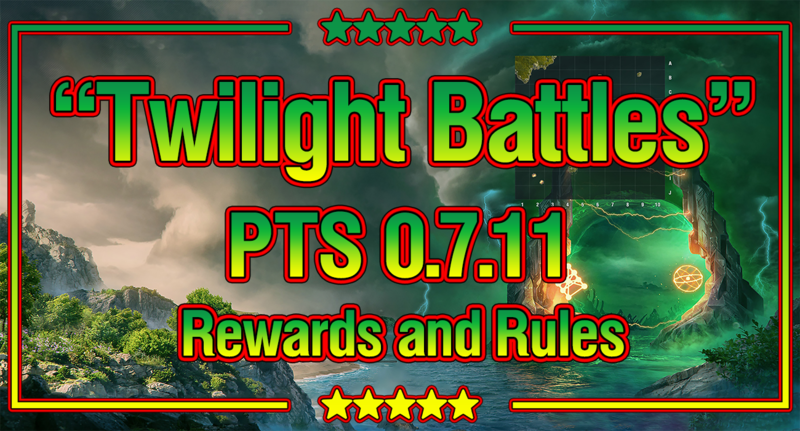 Earn 4,000 XP in Twilight Battle mode. Reward on the Public Test server: Ships: Razorworm, Scarab, Varg, and Steel Rat. Earn 4,000 XP with Razorworm, Scarab, Varg, Steel Rat or Rasputin in Twilight Battle mode. Reward on the live server: Five of each of the following special Signal Flags: Dragon, Wyvern, Red Dragon, Ouroboros, and Hydra. Win a Random Battle with ships of any type (except aircraft carriers). Reward on the live server: Three of each of the following special signal flags: Scylla, Leviathan, and Basilisk. Rewards will be added to your live account within five working days after the update hits the servers. At the start of the Public Test, all participants will have all researchable Tier VIII ships accompanied by Commanders with 15 skill points credited to their PT accounts. Research prices for ship modules will be substantially discounted, helping you to easily obtain them after playing just a couple of battles. You will receive Account Level 15 when you first log into the Public Test account. 14 days of Premium Account time will be credited to all Public Test accounts. 500,000,000 credits, 30,000 doubloons, and a large set of signal flags of all types (except for special signals) will be added to your PT account. Note: Any achievements and progress from previous Public Tests will be wiped. How do I access the Public test? If you participated in the previous Public Test, just update the client (~1.5 GB) and use your existing Public Test account. If you want to join the Public Test for the first time, download the client (~22 GB) and register your account on the Public Test portal. You will find step-by-step registration instructions HERE. You can also authorize your Steam or Windows Store account in order to create a Public Test account so that you can receive your rewards for testing the game.